Second in prestige only to the President's Scholarship, The SAF Scholarship (formerly known as SAF Overseas Scholarship), is for those who see the honour in service and duty – the noble purpose of being there where it matters most. It provides excellent opportunities for personal and professional growth, as well as grooming for the highest levels of command and management. The SAF Scholarship offers scholars opportunities to be involved in operations that directly contribute to the peace and security of Singapore. Through a series of command and staff appointments, scholars will not only hone their skills as a leader, but also as a manager, planner and strategist. Hear from LTC Phua Jia Kai, as he shares his journey with the Republic of Singapore Air Force (RSAF) as one of The SAF Scholarship recipients. In partnership with the three engineering clusters, the PSC Scholarship (Engineering) is offered to pre-tertiary students and undergraduates (as mid-term scholarships) who are keen to pursue an engineering career in the Public Service. Scholarship holders in the Defence and Security cluster will be offered opportunities to develop deep technical capabilities, and work in MINDEF/SAF agencies whose core business lies in engineering. You will be challenged with technical demands that aim to sharpen your domain skills, and hone you into experts of these fields. The SAF Engineering Scholarship is for aspiring engineers-to-be with the interest and commitment to join the SAF as Military Experts. You will form the next generation of leaders in our engineering corps who will catalyse the next phase of development of the SAF. As military engineers, you will assume a range of challenging appointments in MINDEF/SAF. There are also opportunities to be rotated to the wider defence technology ecosystem to build up engineering expertise, and exposure in cutting-edge defence technologies. The SAF Merit Scholarship equips you with a world-class education and exposes you to training that will develop your operational know-how and expertise relevant to the organisation. You will be trained to meet the challenges of the new security environment, to be a leader of leaders to lead and guide your men to fulfil the mission. Individuals who have benefitted from the SAF Merit Scholarship include CPT Jamin Lau and CPT Tung Wan Ling from the Republic of Singapore Navy (RSN), MAJ Muhammad Helmi from the Singapore Army, and CPT Sim Bao Chen and MAJ Lee Mei Yi from the RSAF. The Defence Merit Scholarship is a prestigious scholarship offered by MINDEF for civilian appointments in the organisation. The scholarship paves the way to a world-class education at some of the world's most eminent universities. Upon graduation, scholars enjoy a highly rewarding and challenging career as a Defence Executive Officer (DXO) within MINDEF. As a DXO, you will play a strategic role in the defence and security of Singapore. You will be at the forefront of the ministry to shape defence policies, manage our defence budget as well as administration and management of our human resource pool. This essential task has been undertaken by trustworthy individuals such as Defence Psychologist Daniel Soh, and Staff Officer in the Defence Policy Office, Tiffany Tay. 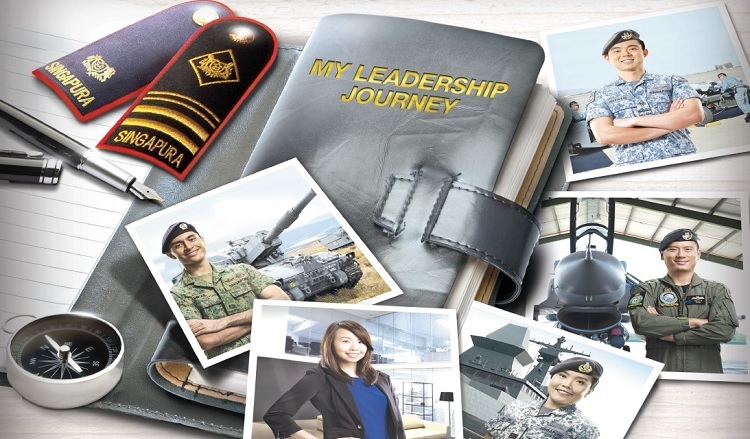 Search BrightSparks for the range of MINDEF scholarships and more!